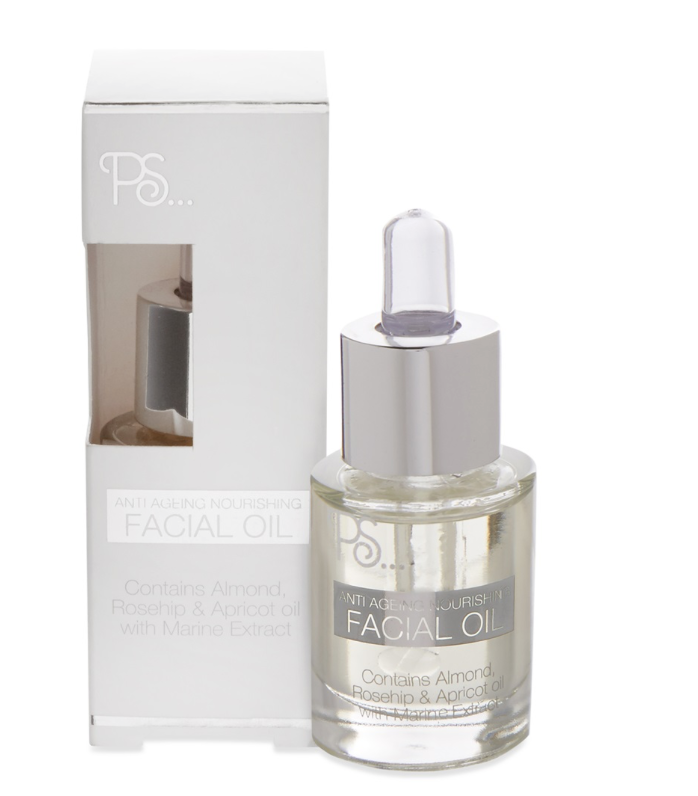 This week my Friday favourite is my latest beauty find – Primark’s anti-ageing facial oil. I’m usually careful with what skincare brands I use on my face, as I have quite sensitive skin, but after checking that the ingredients were mostly all natural, I tentatively gave it a try, and now I’m obsessed! At just £4 for a small bottle, it’s a snip of the price of the L’Oreal and Clarins face oils I’ve previously used, and I haven’t been at all disappointed by the results – it’s a nice thick consistency that absorbs into the skin easily overnight and leaves my face feeling hydrated and plump in the morning. As anybody who has been within a five-mile radius of me over the last few weeks will know, I’m off on holiday tomorrow, and have dedicated the last few weeks to purchasing a whole new holiday wardrobe as mine all got sent to the charity shop during a recent house move. One of my favourite pieces I have purchased has to be this Bershka wrap dress (purchased via ASOS) – the coral colour will be great against a tan and the light material perfect for those balmy evenings. It’s also super versatile – I can wear it dressed down with metallic sandals, or with heels for a dressier occasion (I’ve purchased these, which are the perfect pairing). Add to that the fact that it’s only £30 and I make it the perfect purchase. Now roll on a week of tapas, sangria and Summer dresses! Over the long weekend, my friend and I fancied a change of scenery from our usual local foodie haunts, and headed to Chorlton, where we decided on eating at The Beagle. The name might be slightly misleading, as the restaurant is actually serving up delicious Mexican style street food, that left me spoilt for choice. 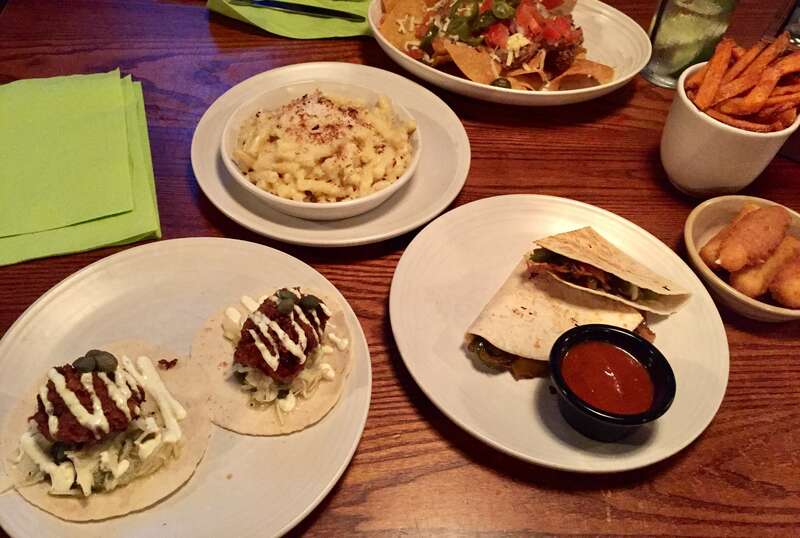 My friend and I decided that rather committing to a single starter and main each, we’d go for a selection of the snacks, tacos and sides to split, so we could have a little taste of near enough everything. I was not limited by the fact that I was sharing with a veggie and between us, with our eyes way bigger than our bellies, we settled for jalapeño poppers, fish tacos (for me), sweet potato fries, mac and cheese and nachos. So it’s safe to say they have some strong veggie options. A little while and a lot of cheese later we were both suitably stuffed and really pleased with the food, both commenting that the jalapeño and cheese poppers were probably our favourite dishes. If you’re in Chorlton and looking for some casual but delicious dining, I’d definitely say give The Beagle a go!